Pick up plenty of Paw Patrol presents at PriceRightHome. With duvet sets, toddler beds, curtains and more, we’ve got everything you need to kit out your kid’s room with their favourite four-legged friends. And with free delivery on all UK orders, we’ve got the paw-fect gift for your little one. Turn your child’s room into Adventure Bay with our Paw Patrol goodies. Marshall, Chase, Rocky, Rubble, Skye, Everest and Zuma transport your little one on their very own rescue mission! 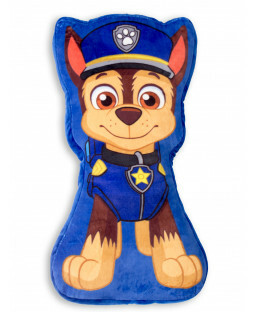 We have a huge range of bedroom furniture and accessories that your child will love, featuring both individual character products like the Paw Patrol Chase Toddler Bed, and group scenes of Ryder, Chase, Marshall and Rubble Paw Patrol Rescue Single Duvet Cover and Pillowcase Set and more. Ready beds and sleepover solutions are ideal for a hound-inspired hangout. We also have a Pup Pack load of toys and accessories for every honorary Patrol member. For the creative canine-lover, we have colouring tables, featuring jumbo crayons and a 5 metre colouring roll, and double-sided easel with tray and accessories. Active animal fans will go crazy for our Paw Patrol print roller skate, scooter and bike collections. We even offer an official safety helmet, so Ryder and friends won’t have to come out on another rescue mission! And with our 110% price beat promise you’ll be wagging your tail more than a Paw Patrol pup after a job well done.